How can your website tell your story? 1der1 web pages speak aloud. Home / 1der1 News Blog / How can your website tell your story? How can your website tell your story? Storytelling is the best way to engage your customers. Let your website tell your story automatically. Let your customers speak about their excitement and your fantastic service. Emotions will carry your business this far into the hearts of your clients. You don't have to do anything at all if you own a 1der1 website or social media hub and landing page! 1der1's artificial web designer creates your page with voice automatically. The voice does not just read the screen but knows what it is speaking about! You can even guide the sound with clicks and the voice will assist you. Even more, if your page contains mixed language content, there will be a native voice for every language. 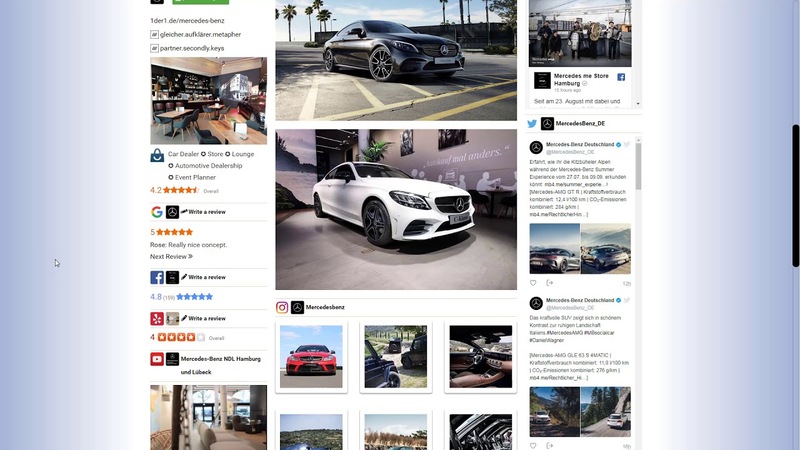 The video shows a 1der1 page for a Mercedes Me shop in Hamburg, Germany. First, you see and hear the page for an English-speaking web visitor with German language knowledge. Afterward, the page serves a German-speaking visitor who understands English. This new web technology is already available and even for free! Check it out yourself and visit our example pages - all created by 1der1's artificial web designer. Please switch your device sound on and use a decent browser like Chrome when you visit the pages. When you get your page, 1der1's artificial companion will assist you in making a page you and your customers love.